Vacation rental house. Sleeps 6, 3 bedrooms, 1 bathroom. Dogs allowed. 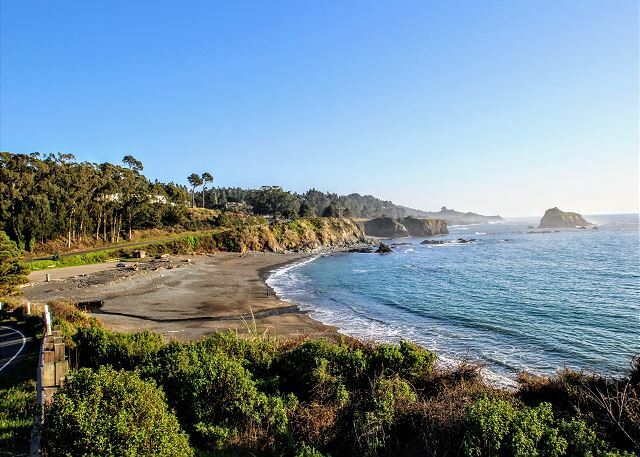 Walk to Van Damme State Park - Mendocino Area Parks Assoc. 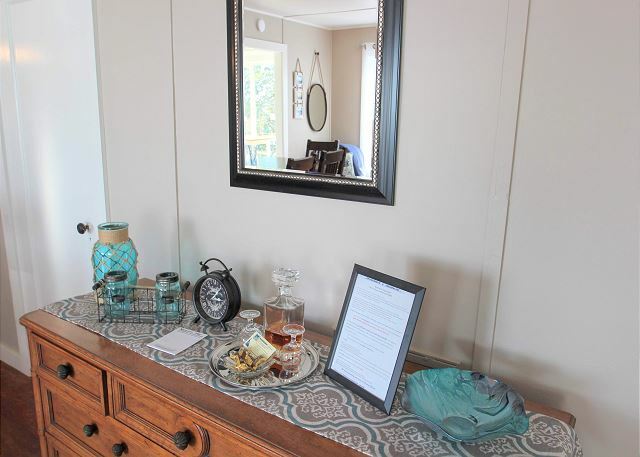 Legacy is a classic cabin were you can experience a bit of Little River's rich history. 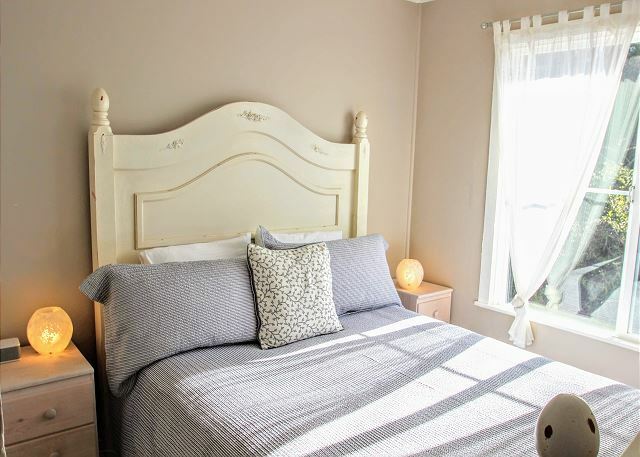 The cabin offers three bedrooms, one bathroom and a sunny kitchen including updated appliances, granite counters, and ocean view breakfast area. The living room's comfortable furnishings allow you to chill out and relax. 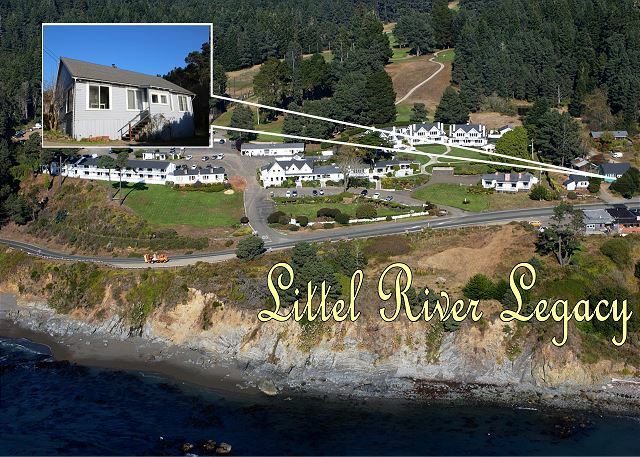 If you feel like a bit of adventure, right next door is the Little River Inn offering a 9 hole golf course, tennis courts, spa, fabulous dining, and Ole's Whale Watch Bar. 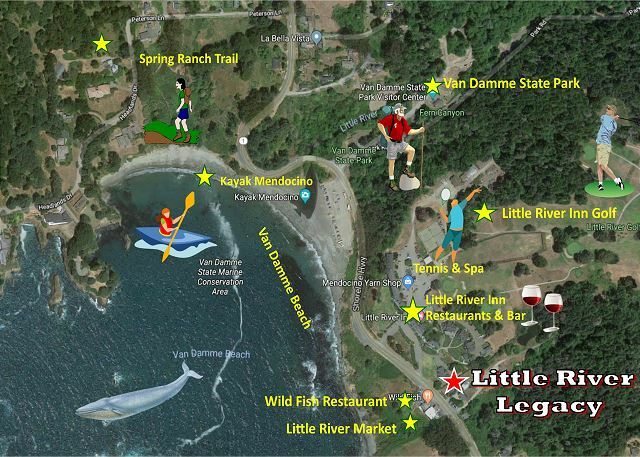 Just a short walk will take you to Van Damme State Park, where you can explore an incredibly scenic network of trails including the unique pygmy forest and lush fern canyon. 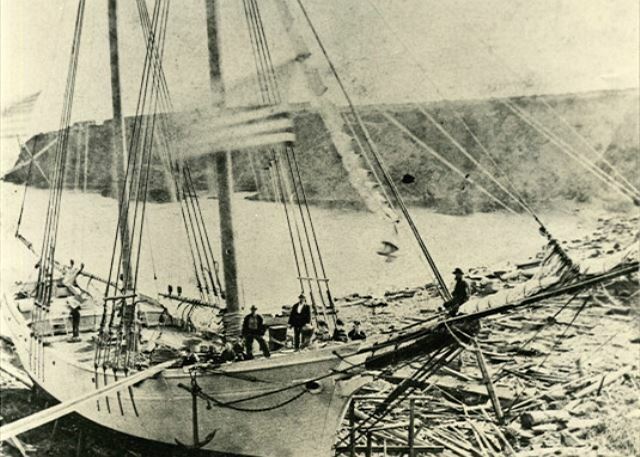 Another attraction at Van Damme is Little River State Beach where lumber mills and shipbuilding once thrived. 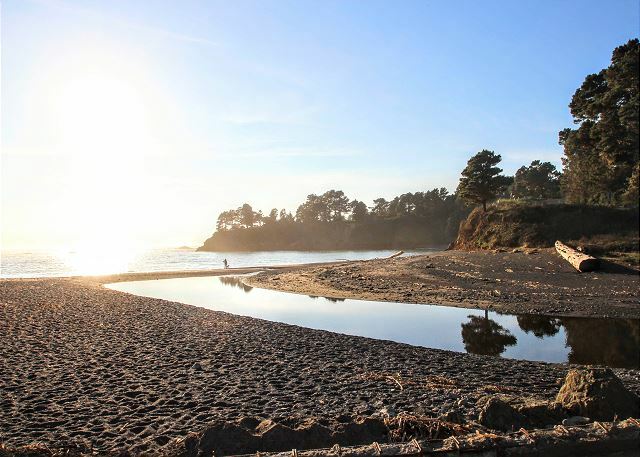 From this beach, Kayak Mendocino offers excursions for guests of all ages. It's protected inlet makes it a perfect location for kayaking. Just across the street from Legacy is the Little River Market and Deli offering a variety of gourmet food, wine, and takeout. Next door to the market is Wild Fish, a fine dining restaurant that features organic, locally sourced meals with an ocean view. There is a partial view of the ocean from the cabin that is filtered by the roof line of the market across the street. This great location offers something for everyone without needing to get in a car. ~Please note:~ Legacy is located off of Highway 1 in Little River, while this is a slow stretch of single lane highway, guests that are light sleepers or sensitive to noise may be disrupted by the road noise. 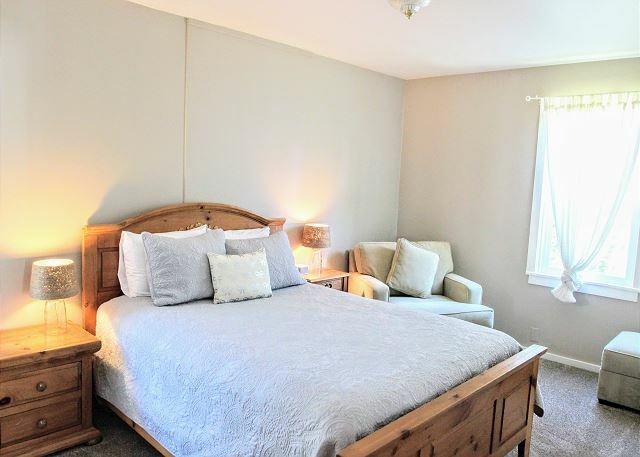 Adjacent to Legacy is the cozy Little River Cottage, available to rent for two additional guests. My name is Hanley. Not Hanely.